Stray Train - "Blues from Hell – The Legend of the Courageous Five"
And this machine brought a fresh wind to the blues rock scene in Slovenia and abroad last year with it’s fresh and intriguing approach, which is without a doubt the trademark of the band’s music, combined with strong influences of the Southern Blues. 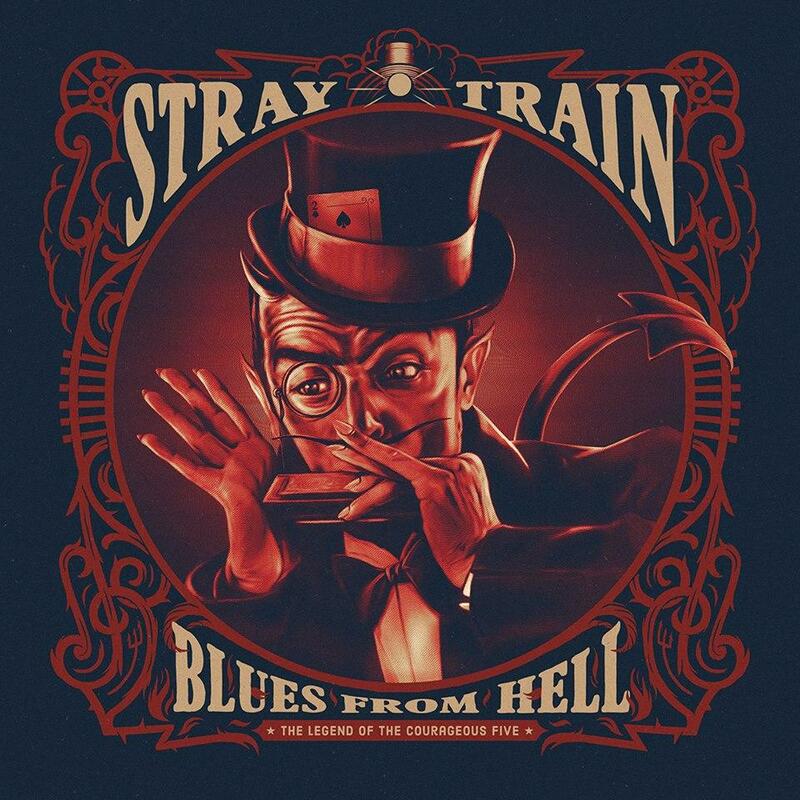 Stray Train’s second album Blues From Hell – The Legend of the Courageous Five will be released November 24th, 2017 through Dallas Records (for territory Ex-Jug.) and through SAOL/H’ART for Germany, Austria and Switzerland. The album was mixed by the eminent Ronald Prent, who has already participated in mixing albums for bands like Depeche Mode, Rammstein and Queensryche. Recorded at Wisseloord Studios in the Netherlands, where Queen, U2, Depeche Mode and many others have recorded, Blues From Hell contains 12 fresh compositions, with a specific and distinctive blend of blues and rock in English language. The album will be released on CD and double vinyl.